For modern businesses, air conditioners can be one of the biggest users of power. Which is why the cleaning maintenance is the most effective way to reduce energy consumption and improve indoor air quality for all room occupants. You can improve existing HVAC system to improve heating and cooling performance – saving your business energy and costs. Now these are great energy solutions. The air conditioner recycles the indoor air back into the room and filters out the contaminants such as dust and pollen, and blows the air back into the room for room occupants to inhale. The contaminants gather on the coils deep within the system and encourages the growth of mould and bacteria. These contaminants get recycled back into the indoor air and blocks the air flow. 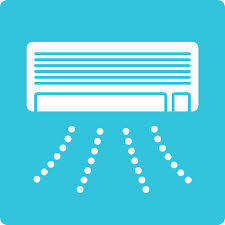 This causes the air conditioner to run harder and making it use more energy. This could save you up to 30% in energy costs. Set the thermostat between 23-25°C in summer and 18-21°C in winter. Increasing the thermostat temperature by 1°C in summer (and doing the reverse in winter) can reduce related energy consumption by around 10%. Make sure vents and thermostats in unoccupied areas are sectioned off, so no energy goes to waste. Call us today to find out other ways that we can improve on your energy savings for your business 1800 130 168.